Open House Sunday April 3rd 2-4pm. Offers 6:30pm Tuesday April 5th. Welcome to St Norbert! This charming bungalow has been lovingly maintained by its long time owners for the past 23 years, and with three bedrooms and two bathrooms it is truly fantastic! Featuring, a large eat in kitchen, newer front and side exterior storm doors (2012), a new hot water tank (2014), and all new pvc Duraco windows on main floor that flood the home with natural light. Downstairs you will find tons of additional living space in the large rec room; there is also a den, a 3 pc bath and ample amounts of storage space here. A new patio door was installed in 2012 and leads to a large 16’x25’ deck with hot tub! Current owners enjoy relaxing here year round. Backyard is west facing and fully fenced. In the past 5 years, over $30,000 in upgrades to yard have been completed. 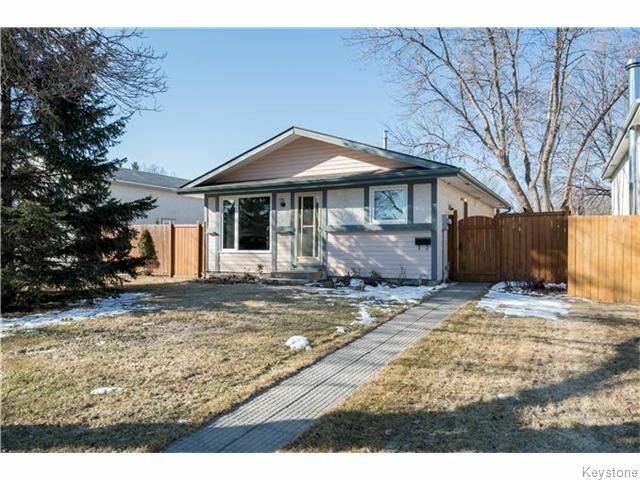 Close to schools, parks, shopping, transit and the St Norbert Farmers Market. Call your Realtor and book an appointment today!